The Community Service Committee plans and undertakes projects in our own communities of Kingsbury & Kenton. Most of these projects are one-off activities, but a few run from year to year. 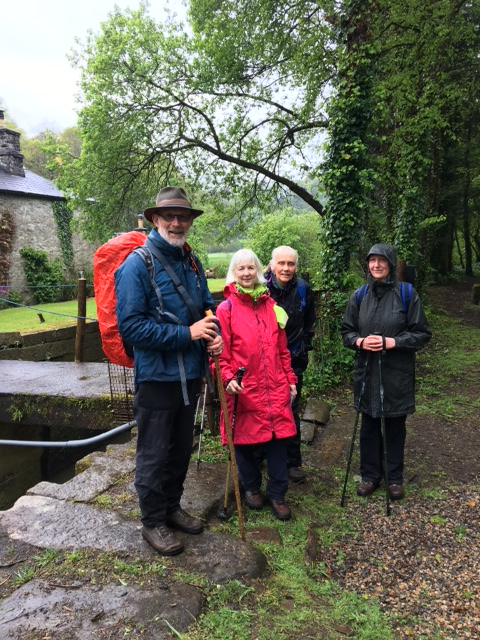 For over 20 years Rotarians in the club have supported St Luke's Hospice by taking part in its annual long distance walk, usually averaging 75 miles over 5 days. This year Rotarian Hugo Hodge and his wife Deborah joined the walk to complete the West Devon Triangle. The weather was kind for the first three days and soaking wet for the last two. They are on target to raise £2,000 in sponsorship for the Hospice." " Next year the annual walk will be during the second Spring bank holiday weekend. Hugo and Deborah will be walking 60 miles along the Dales Way and hope to raise £2,000 for St. Luke’s.."